The Nike Air VaporMax Utility gets remixed to conquer dark, wet routes. A water-repellent upper helps keep your feet dry, while the toggle lacing is quick and easy to adjust. Elements throughout the upper are reflective. BATTLE THE STREETS IN WEATHERIZED STYLE. 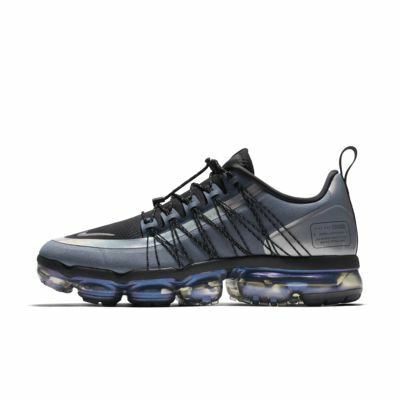 Revolutionary VaporMax Air technology is Nike Running&apos;s lightest Max Air cushioning platform to date. I do not run, however these shoes are by the far the most comfortable shoes out there. 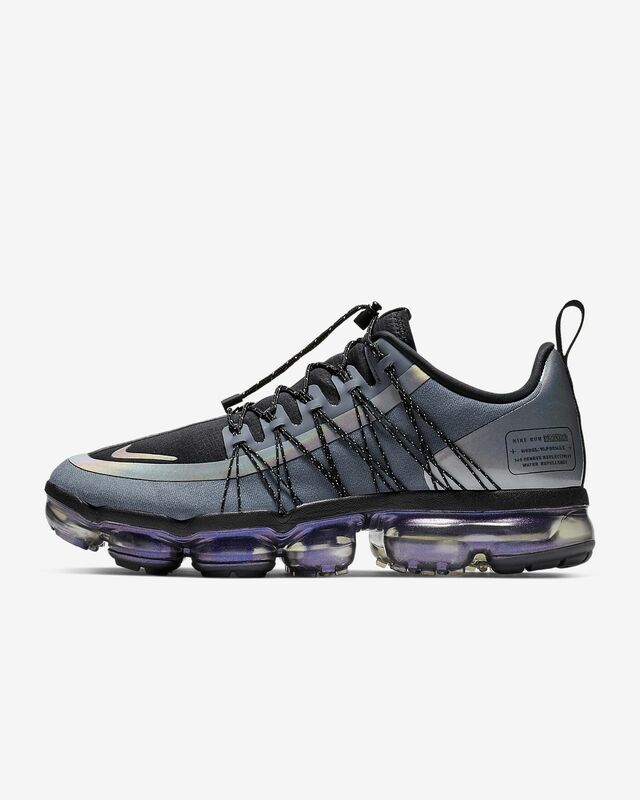 ive got air maxes, these are my first vapormaxes and im not going back. Awesome looking shoe, great fit (if you like to wear thick socks, I would go up 1/2 a size). This style tends to run a little narrow as well. If you have a wide foot, not for you. Otherwise great purchase with unique color and durable.